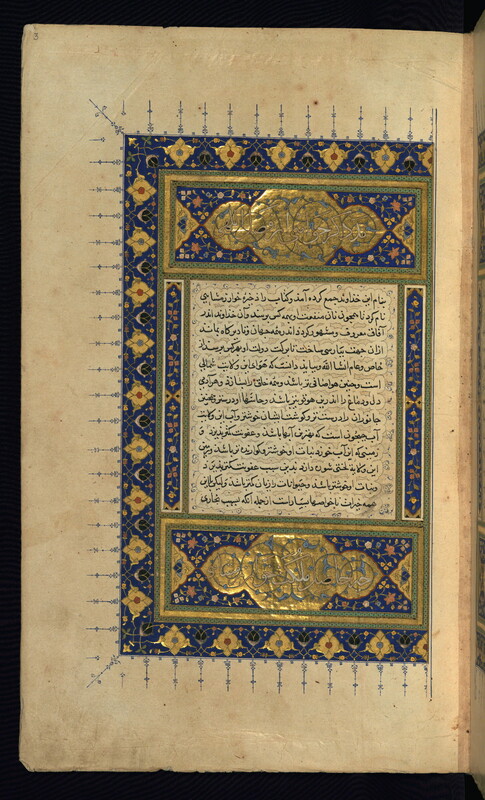 This manuscript is a compendium/encyclopedia of medicine entitled Ẕakhīrah-i Khvārazmshāhī, composed by Zayn al-Dīn al-Jurjānī (d. 531 AH / 1136 CE). It was copied by Muḥammad ibn Maʿrūf ibn Maḥammad al-Zarīr [?] al-Kāzarūnī Shīrānī in 889 AH / 1484 CE. 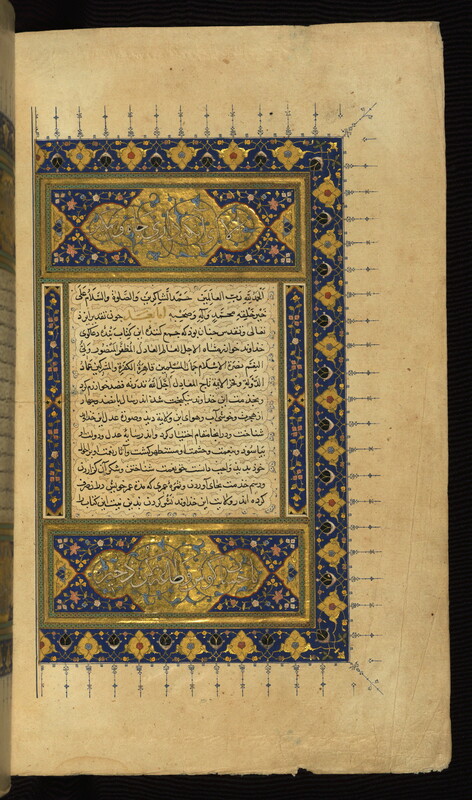 The text opens with a double-page illuminated incipit with verses alluding to the title of the work.